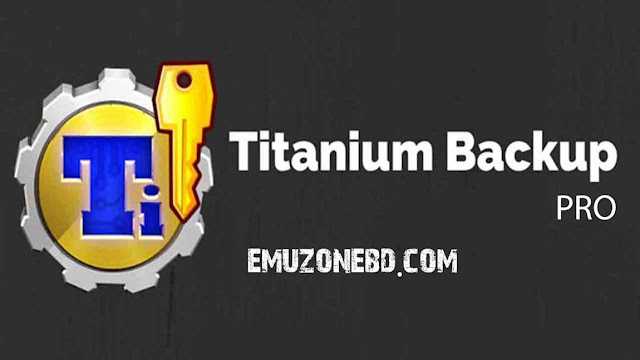 Free Download Titanium Backup Pro Apk Cracked with the key to Backup your important SMS, MMS, Call Recording, Games and Apps Data - for rooted phone only. The best and powerful which allow you to backup Games and Apps with data and without data of System Apps as well as External Apps and Games. This is the best application in which you can backup, restore and freeze the important data file of your System and External apps. And also you can schedule backup your data too. The most twisted part of this application is you can directly move your app or game to SD Card and also you can uninstall any system app using it or make any app as your system app, but you have to be careful to use this software. A live example - Think you are playing online game PUBG Mobile in your Android, You are not uninstalling this game because you are afraid of losing your data. Then, you just have to install Titanium Backup and back up the data file of this app. After doing this, whenever you install PUBG, restore the Backup file, you will be able to play where you have uninstalled this Game. That's the beauty of this app. Or even your offline game like Major Mayhem 2 games work fine to backup file. Does Titanium Backup pro require root? Yes, to use this Application on your Android you need a rooted phone with SuperUser power. If your phone is not rooted then you can't open or use this software. Without root, this apk app will force close when you open it. I recommend you before using this software make a backup of your Android using TWRP. Otherwise, misuse of this app could harm or brick your phone. But you can fix it installing Oficial Firmware of your Phone. You can download this Software from Google Play Store, cause it's totally free. But for the Pro version, you have to pay some $. Is Titanium Backup Pro worth it? 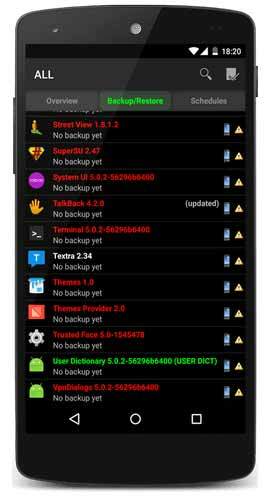 Download Titanium Backup Pro apk mod v8.2.2, size 2.2MB - no need key and without google play store link, just install and enjoy. Free download from Upload.ac link.